Paprika's web browser is a regular web browser, just like any other web browser (Safari, Chrome, etc) you might have on your device. We have no control over ads (or any other content) that might be displayed by the browser, since the content depends on what website you are viewing. 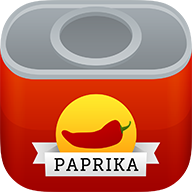 We have never placed any advertising in any version of Paprika Recipe Manager. If you are seeing ads in the browser, they are coming from the website you have loaded, not from Paprika. Many recipe sites (and indeed websites in general) choose to display advertising in order to generate revenue. If you do not like their ads, you are always free to browse to a different site instead.